The biggest city in the Western hemisphere has now become a playground for creative types, power players, and foodies alike, namely because of its Michelin star chefs, UNESCO world heritage sites, swanky amenities, cultural hotspots, revolutionary mixology scene, and illustrious historic landmarks. With a population of 21.2 million people in the metropolitan area (8.9 million living in the city), la Ciudad de México is unrivalled when it comes to exciting getaways. With its culinary scene, Instagram-worthy murals, first-class shopping, and world-renowned mixologists, CDMX has everything to jubilate art lovers by day and hedonists by night. Getting around by taxi is extremely affordable, and the Peso and its colonial aesthetics make it a worthy destination. For the record, saying that Mexico City isn’t safe is absolutely unwarranted - common sense is needed when traveling to any major city, such as Barcelona or Paris. It comes as no surprise that to this day, Mexico still exerts a magnetic pull on visitors from all over the world. Here are our current top picks for a truly memorable stay. A genuine feast for all the senses, Mexico’s culinary scene is simply extraordinary. Home to some of the world’s finest dining establishments, unmissable taquerias, and inspired eateries, restaurant selection can end up being quite a daunting process. A few years ago, local chefs started putting indigenous herbs and ancient grains and produce on the map and at the forefront of the new Mexican culinary identity. Don’t be surprised to find chayote squash, huitlacoche (a delicacy, literally translates as corn fungus), grasshoppers, and Pulque (a pre-hispanic alcoholic beverage) on the food circuit. Head over to the famed Pujol, one of the best restaurants in the world, for the star of the show: a 1437-day-old mole madre. The rich flavours and silky-smooth texture will give you goosebumps. The swanky décor lures in chic crowds and their margaritas are a synonym for pure amnesic bliss – you’ve been warned! Fonda Margarita is the essential foodie stop for an authentic, hearty Mexican breakfast. It’s Anthony Bourdain approved (“Probably the best Breakfast ever”) and family-run. For a splendid lunch in a trendy hood and to sample some outstanding seasonal ingredients, make sure to score an outdoor table at Máximo Bistrot. Chef Eduardo Garcia helped put CDMX on the world’s culinary map, on top of being an alumnus of Pujol and Le Bernardin, in NYC. 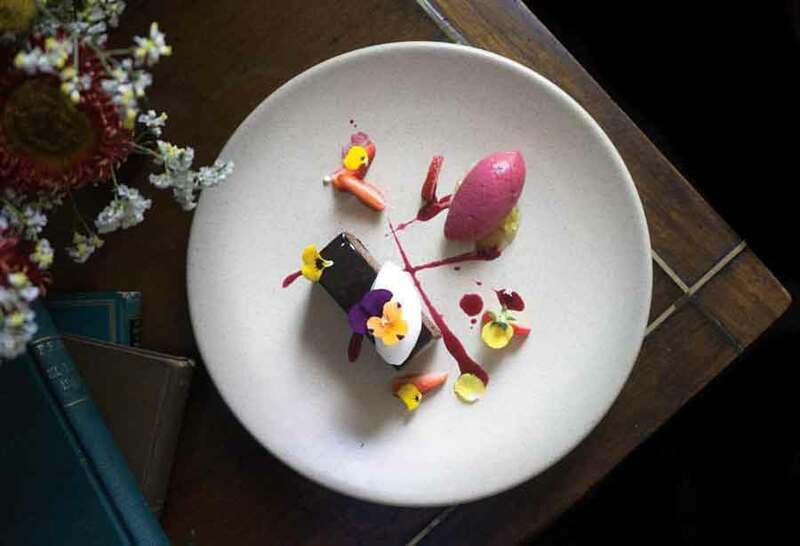 Start with the guacamole and blue corn tortillas, and sit back and be ready to enjoy extraordinary Mexican cuisine executed with French and Italian techniques. The foie gras ravioli is not to be missed, just like the rest of the veg-centric menu. Glass floors and a former horse stable make up the elegant space designed by Mexico’s most influential architect. Not to mention the drool-worthy findings that await you at this popular Pedregal haunt: Tetetlán. This newcomer is already making waves because of its wonderfully succulent ceviche, parpadelle with smoked octopus and lemon accompanied with impeccable service, matched only by the beautiful surroundings. The innovative space makes it the perfect destination to while away the afternoon and bask in the sun after a leisurely lunch (as it hosts a startlingly cool bookstore on the top floor!). You’ll find traditional ingredients, succulent dishes, and a casual atmosphere. Home to a plethora of historic sites, art pilgrimage venues, and a vibrant graffiti scene, there’s assuredly a little something for everyone in Mexico City. Even winding through the tree-lined esplanades or Condesa’s scenic hotspots have a magical feel to it. Early-morning haze in the city that never sleeps. © Christine-Elizabeth Laprade. As for museums, Casa Azul, better known as the Museo Frida Kahlo, is a must-visit cultural landmark. The most important art works can be admired at the Palacio de Bellas Artes, in Centro Historico. The prominent centre hosts a wide collection of Diego Rivera murals, infamous Van Gogh paintings, and high-calibre exhibits. The premises are spectacular. Casa Pedragal will delight any design aficionado. The notable architect’s house, also known as Casa Luis Barragan, is located right beside Tetetlán and offers a peek of what impeccable visionary taste and Mexican influence produced back in 1947, still just as relevant today. Check out the minimalistic ebony bathrooms and the opulent swimming pool in the backyard. It’s been featured in numerous magazines (namely, Architectural Digest). Artifacts on display at the Museo y Zona Arqueológica del Templo Mayor. © Christine Elizabeth Laprade. Templo Mayor is a UNESCO World Heritage Site and is located in the sacred precinct of the former Mexican capital, known as Tenochtitlan (now Mexico City). The architectural site is nothing short of monumental, now shadowed by Mexico City’s Cathedral. Its temples and pyramids were originally raided by the Spanish troops back in 1519. Templo Mayor, situated right in the middle of the city, houses sacrificial mounds, snake heads and tombstones, ruins, a collection of artefacts from the site, a splendid museum, and a (once) iconic temple, on top of offering a glimpse into classical Aztec society. The art walk of Street Art Chilango puts the emphasis on coexistence and culture. © Christine-Elizabeth Laprade. 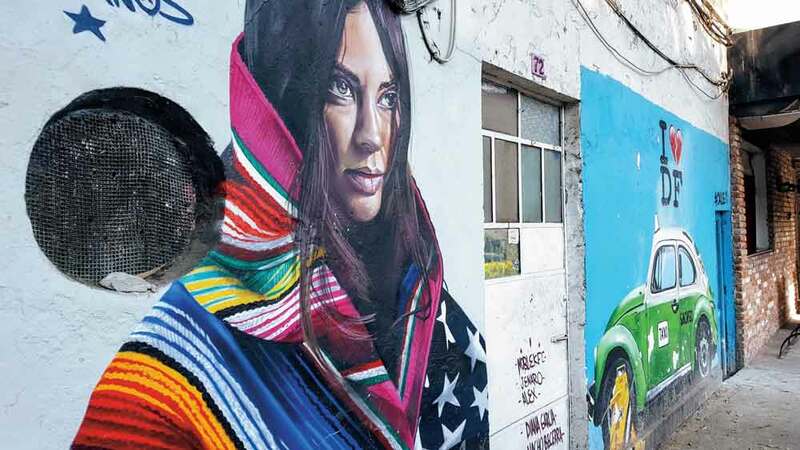 An incredibly fun way to discover CDMX’s unique and colourful neighbourhoods and feel the pulse of the city is to go on an urban art tour. It turns out that the capital is renowned for its murals, drawing in international graffiti artists. Street Art Chilango takes you to the most infamous street art murals via a guided tour of the neighbourhoods of Roma and Juarez. Roma is every vintage lover’s dream and earned the title of “Mexico’s coolest hood” by the New York Times back in 2015. With its absurd number of third wave coffee shops, stationery stores, motorcycle emporium Concept Racer, and skate shops, Roma is distinctly trendy and young. Stop by Apartment 25, a men’s shop, for stylish Swedish & European brands, cologne, and some really cool kicks. Get ready for a respectable amount of top-shelf nighttime cocktails. The bustling urban Latin hub is filled with avant-garde, exclusive, and ever-so-slightly grounded watering holes. For some pre-Hispanic cocktail revelry, start things off at Xaman. The notorious hot spot is the mastermind of Le Baron crew, a group of hip young bartenders who collaborated with local nightlife collective Sicario. Inconspicuously tucked in the basement of a building, the dim-lit room in Colonia Juarez is filled with succulents and wooden accessories reminiscent of shamanism. Glossy décor and elegant cocktails await at this dimly lit speakeasy. Tucked behind an unassuming taqueria, RSVPS are a must at Hanky Panky Cocktail Bar. Toast the night at Hanky Panky, one of the city’s most exclusive joints. Its red leather booths and black & gold mirrored walls are highly coveted, so in order to get in, one must book a reservation by phone or become a member. 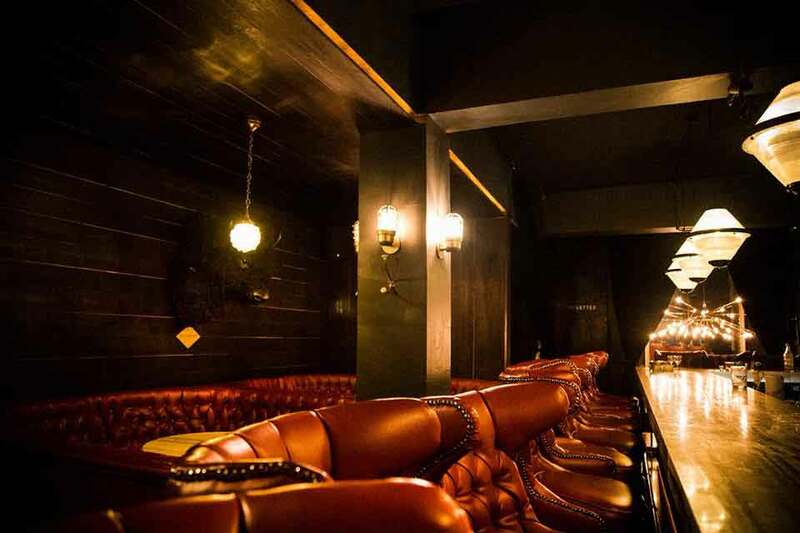 The cheekily-named speakeasy draws tons of hipsters and savvy cocktail connoisseurs alike. Locals swear by Licoreria Limantour, featured on the World’s Best 50 Bars list. The main draw here is the laid-back Latin vibe, and, indisputably, its crew of award-winning bartenders and the way they pay homage to local historical flavours. The two-story art deco watering hole is famous for its tequila-based, Latin take on the Martini, the Texmelucan, (rum, sherry, ancho chile, and plantain) and the Margarita Al Pastor. Mexico City has no shortage of ritzy five-star lodging and stylish boutique hotels. Located in the heart of the fast-paced city is The Hilton Mexico City Reforma hotel, named because of its immensely popular restaurant, El Cardenal, which serves authentic breakfast fare such as traditionally prepared hot chocolate, tortilla de huevo con escamoles (an omelette peppered with ant larvae), and sweet, freshly-baked goods. Located a stone’s throw away from several major attractions, its amenities include a stylish rooftop pool, perfect for pre-dinner drinks. Stylish crowds, businessmen and sports teams reportedly stay at the InterContinental Presidente Mexico City. The upscale and newly-renovated hotel is positioned in one the city’s poshest neighbourhoods, Polanco, home to the rich and famous. The hotel’s surroundings are punctuated with private-chauffeured SUVs, mansions, Spanish Colonial Revival architecture, noteworthy attractions and some of the best fare in town. 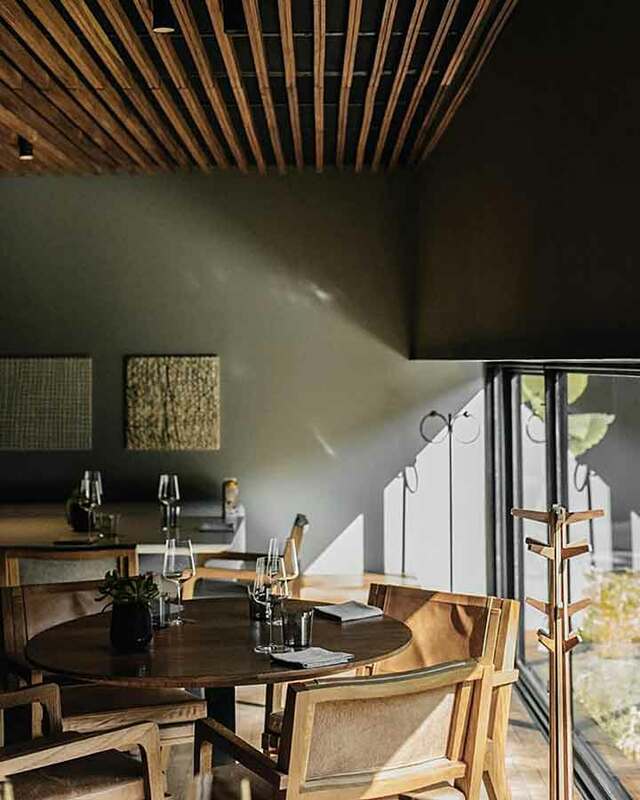 Chapulin, one of the six restaurants located inside the property, boasts the largest wine cellar in Latin America, and Pujol, one of The World’s 50 Best Restaurants, is just a short walk away. Seek out the city’s spirit at Zócalo, the 2nd largest plaza in the world, as seen from the Templo Mayor. © Christine-Elizabeth Laprade.